Allure XL Plank with SimpleFit(TM) locking technology features unique Simple Fit tap-and-lock end joints that click together like a door latch, making installation easier than ever. Just angle, press and tap to lock. Dramatic 60 in. long-length planks create less end joints in your final look, for a clean appearance and authentic, luxurious style. The flooring is 100% waterproof and features 5 mm thick planks with a 20 mil wear layer, providing superior durability that can stand up to heavy traffic at home or in your office. 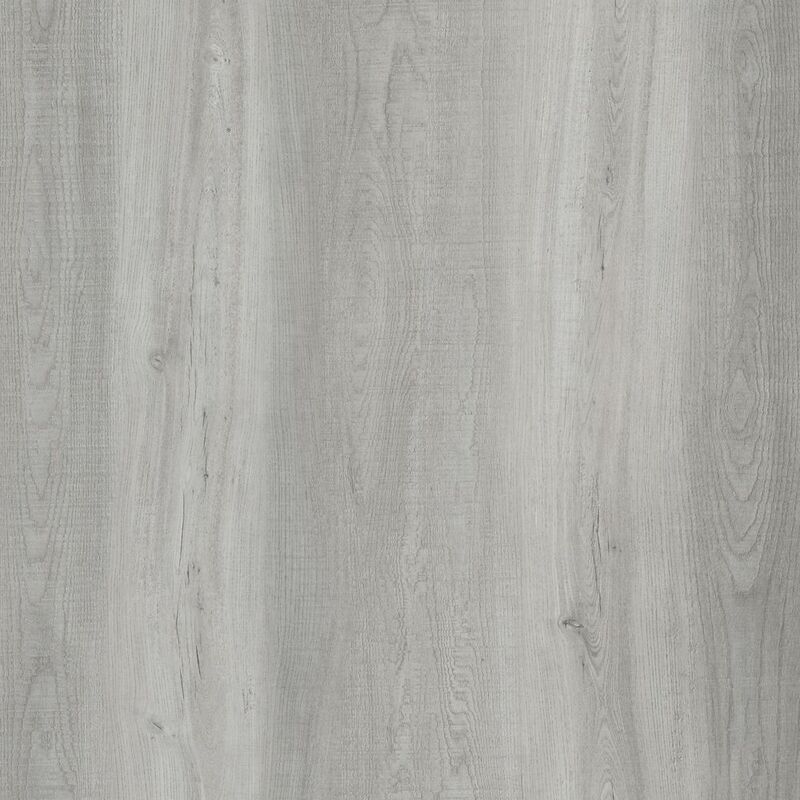 Light Grey Oak 7.5-inch x 47.6-inch Luxury Vinyl Plank (19.8 sq. ft. / case) LifeProof is the latest innovation in vinyl flooring, available exclusively at The Home Depot. LifeProof Luxury Vinyl Flooring features an innovative highly engineered closed-cell foamed vinyl core that delivers rigidity and strength, yet is lightweight and easy to handle and install. LifeProof Luxury Vinyl planks feature authentic embossing that looks and feels like real wood. The simple drop-and-lock end joints make installation a breeze. A solid virgin vinyl layer enhances durability and provides exceptional embossing detail and texture while an attached underlayment minimizes sound, is shock-absorbing, and enhances warmth and comfort under foot. This flooring is both phthalate-free and formaldehyde-free to ensure product safety. LifeProof Luxury Vinyl Flooring does not require acclimation. 100% LifeProof, 0% worries. Light Grey Oak 7.5-inch x 47.6-inch Luxury Vinyl Plank (19.8 sq. ft. / case) is rated 4.8 out of 5 by 4. Rated 5 out of 5 by Lucknow95 from Looks great, easy to use. I bought 55 boxes of the product and had it delivered right to my door. The packing was good to ensure the protection of the floor in transit. Once I started working with this I couldn't believe how easily it went together using a tapping block. Cutting with a knife or mitre saw is also easy as well as ripping with a table saw to fit all the nooks and cranberries. The floor looks amazing now with tight joints and no issues to speak of this far. Rated 4 out of 5 by Albert from Almost perfect This is a great product. It works perfectly in our laundry / workout room. The only thing it’s a bit slippery. Colour durability and feel is outstanding. Rated 5 out of 5 by Oaklands from Great flooring option We installed the Light Grey Oak Vinyl Plank flooring over a month ago. After some initial challenges we got the hang of clicking in the flooring easily, and installed our 450 sq ft space over one weekend. We love the floor! Great product. How much does a box of this flooring weigh? Thanks for your question. Each case is approximately 28 lbs. why does your life proof luxury vinyl plank have only a 6.5m wear layer. I am looking for 12m or greater and don't see that you have product with that quality of wear layer?